We got to the office today and there was a huge box at our doorstep. Our Mediterranean Dream fabric through Quilting Treasures is now on sale in stores and online and we just got all of our sample fabrics. It’s like Christmas all over again! If you’d like to make the quilt shown above click here for the pattern from Quilting Treasures. 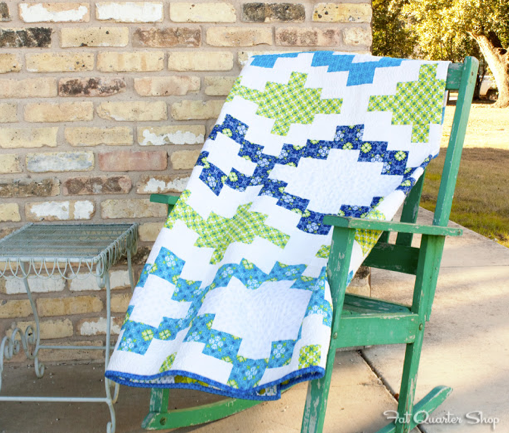 Here’s another great take on a quilt using the fabric by FatQuarterShop. 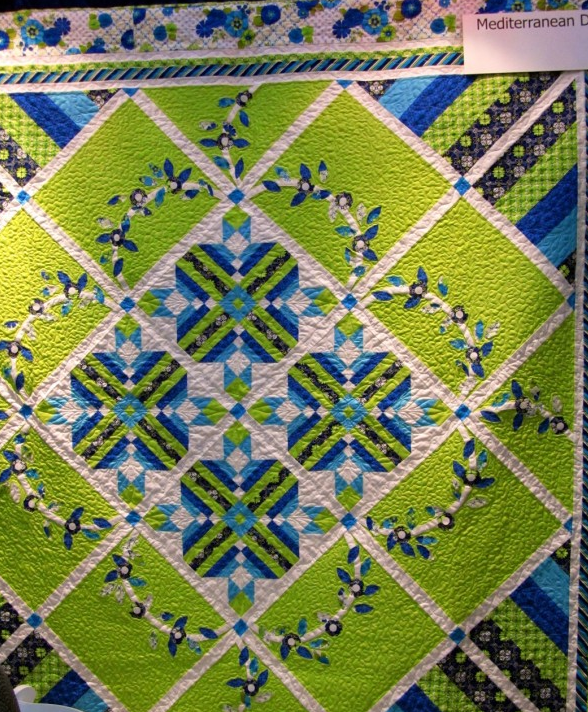 Here is a link to the Dream On Quilt Kit designed by Jocelyn Ueng. The quilt is also featured in the March/April issue of QuiltMaker magazine. I think both quilts are beautiful, I love the addition of lots of white in Jocelyn’s quilt and think it would look great in this room that was just featured on Houzz.com. We’d love to see how you use our Mediterranean Dream fabric, send us a picture of your finished project.